Customized 3.5 x 4 inch square corner printed full color magnets offers a good work space for marketers to organize their brand information and it easily shows up against any metal surface. Marketers working in small budget can seek it for bulk gifting because huge discounts are offered on wholesale orders. It can be gifted for festive sales driving and for attracting new segment of customers during tradeshows or other marketing events. 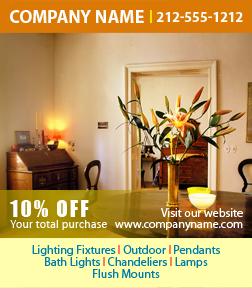 Works great for lighting and home decoration services. Request a quote to know price benefits that you can avail on bulk orders of this custom 3.5 x 4 inch square corner outdoor safe full color magnets.